Anyone willing to hurtle down a mountain at 95mph in a tiny metal pod deserves respect. 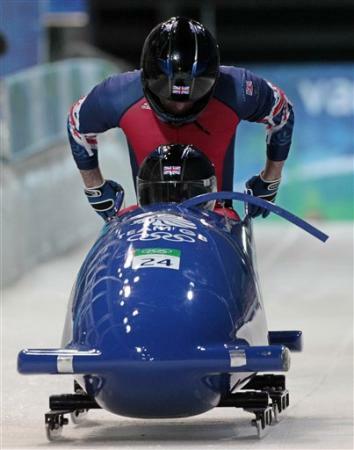 Bobsleigh is like F1 on ice. But when it goes wrong it can be spectacular as the world saw when Britain’s 2 man bob crashed out of Vancouver 2010. If we are honest we vicarious thrill seekers only watch from our armchairs for the possibility of a crash. We don’t want to see competitors hurt but we do love a good crash. If like me you view it as a little too risky then you could always experience the speed and thrill of this sport from the comfort of your gaming chair. I don’t know if you saw, but the British female two man bob went the exact same way! Upside-down. Maybe they were a couple of over-the-top publicity stunts?